How we limit food waste and losses depends on where we live. Jori Lewis visits small-scale milk producers in Senegal. 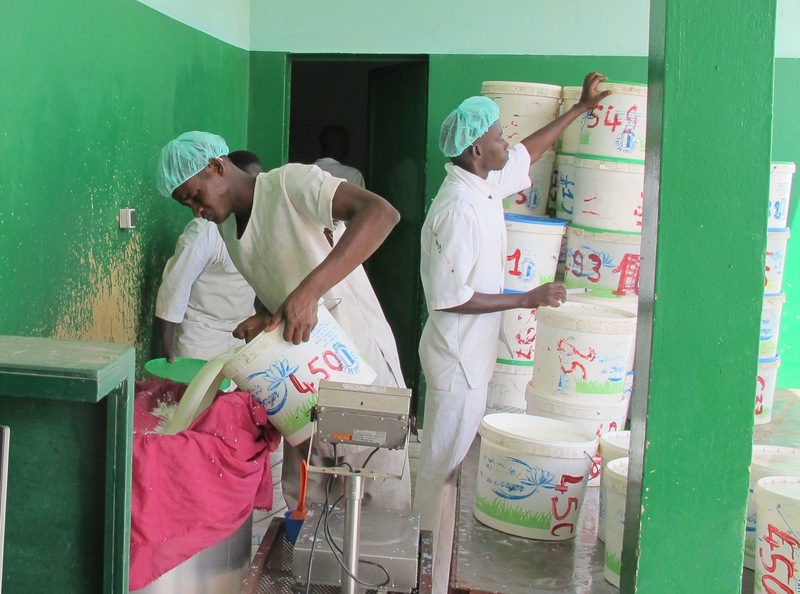 Workers at La Laiterie du Berger in Senegal weigh and filter milk before transforming it into yogurt. The company collects milk from isolated herders who have no other way to get it to consumers. Photo by Jori Lewis. We waste enormous amounts of land, water, labor, and fuel producing food that’s never eaten. How we limit the losses depends on where we live. In wealthy countries, waste tends to occur at the consumer end. In poorer countries, most food is lost between the field and the market. In this story, Jori Lewis visits small-scale milk producers in Senegal. Her piece aired in tandem with Spilled and Spoiled in California.